We all know that some of the best parts about warmer weather are hanging outside with friends and family. 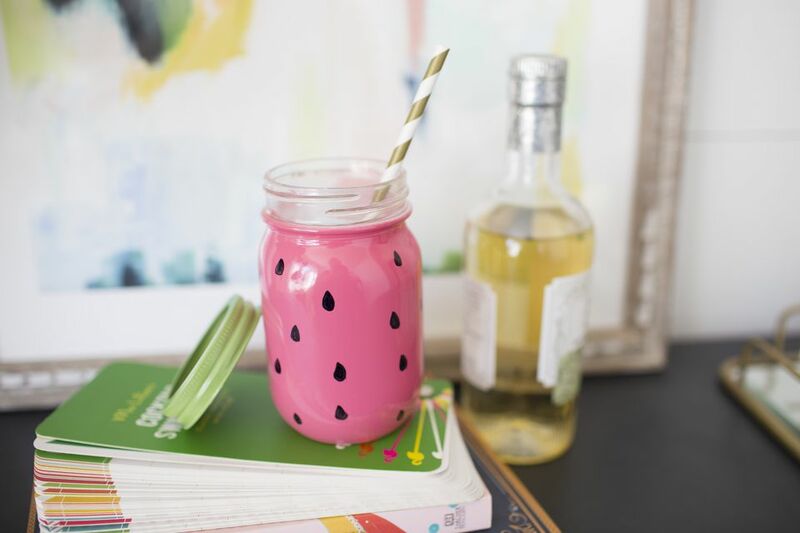 Make an impromptu BBQ or picnic even more fun with easy-to-serve summer cocktails with these playful watermelon themed mason jars. Endlessly useful, these jars can be used to hold party favors, corral silverware, or for pre-mixed cocktails or mocktails. After all, watermelon is the unofficial fruit of summer, so why not use it as part of a party theme? 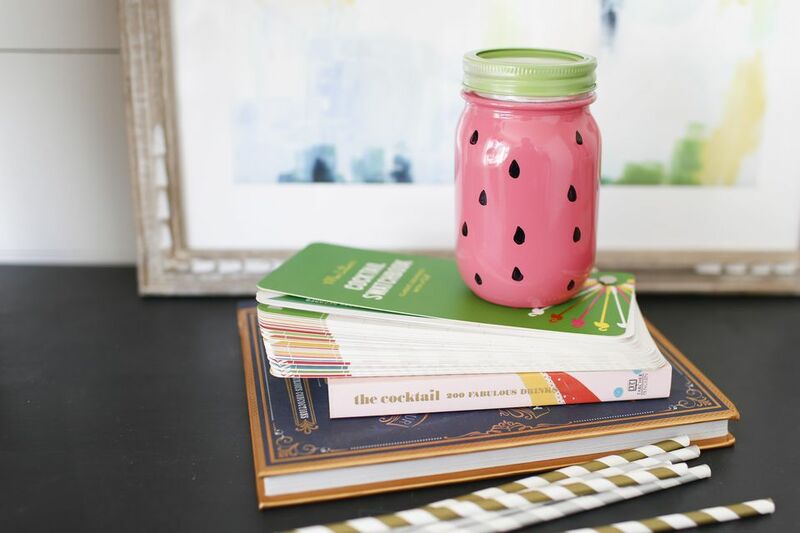 While this is definitely not the only way to create these mason jars, this method yields the best results. While you could use craft paint instead of spray paint, it’s hard to paint on without leaving streaks. Spray paint allows for a smoother and more durable overall finish. The below materials are what we used for this particular look. While spray paint is always pretty durable, we’d recommend using outdoor spray paint for this project for that extra protection. A coat of primer will also help the paint adhere to the glass better and will hold up longer when/if the jars get wet. If you’re making a set, just up the amount of jars you’re using. You’ll be surprised how much you can get out of these cans of spray paint. If you’re not into watermelon, you can use this same technique but just switch up the colors you’re using to represent your favorite fruit or veggie.